First off, I don’t eat Gluten Free, nor am I vegan, or vegetarian. However, I do like healthy foods. And since I do have some friends who are either vegetarian, pescatarian or gluten-free, I try to find recipes that they can eat as well. My assigned blog a few months ago for Secret Recipe Club was Judee Gluten Free. I had fun going through her recipes. 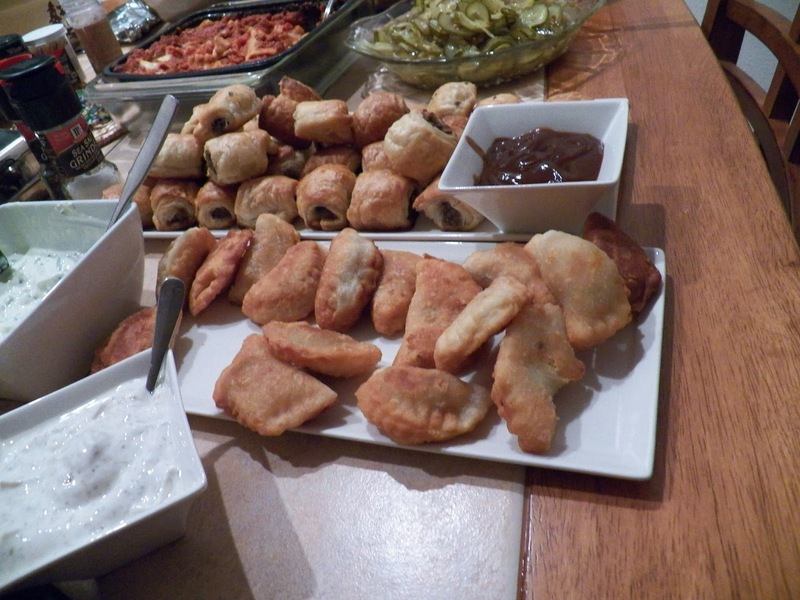 And if you read this blog at all, you know I love my appetizers. And I had a heck of a time deciding what to make for SRC that time, there were too many recipes I wanted to try. 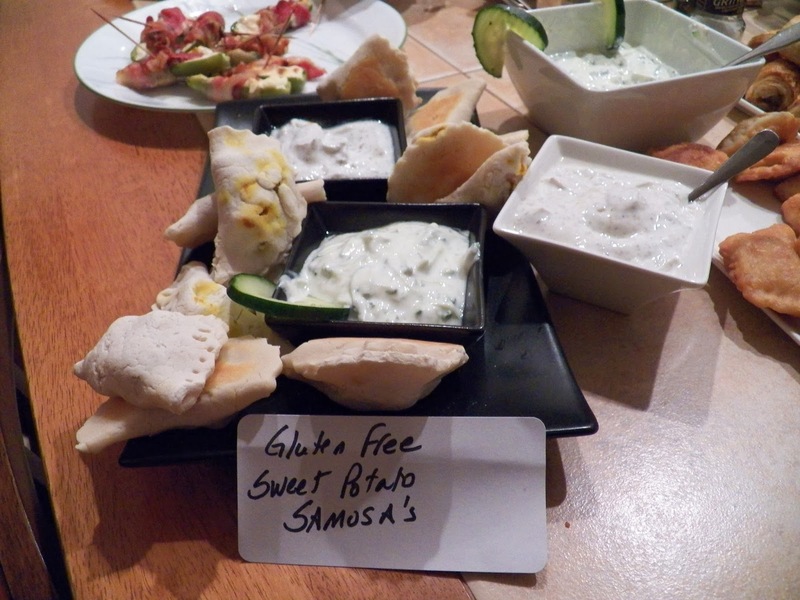 I ended up making the Green Goddess Hummus, and it was very good, but I didn’t stop there, I wanted to try to make these Samosa’s which I decided were perfect for one of our gatherings. So I made these up. 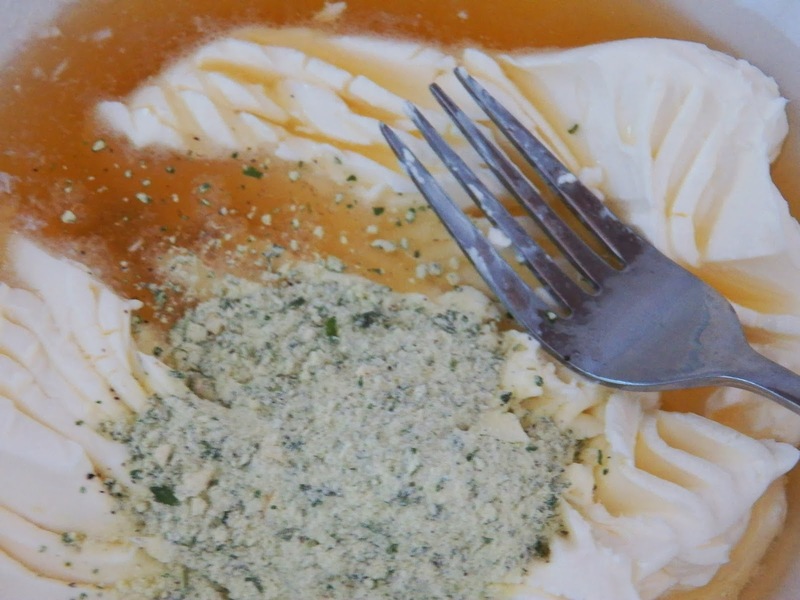 Mix flour, buttermilk, and salt and work with a fork until dough can form into a ball. Dough will be soft. Refrigerate for 5-10 minutes if too soft to work with. 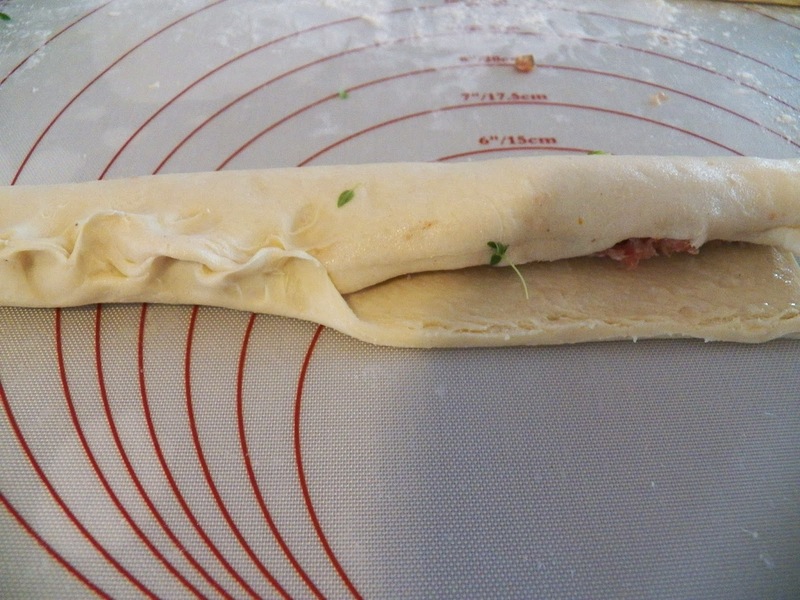 Divide dough into quarters and roll out thinly. 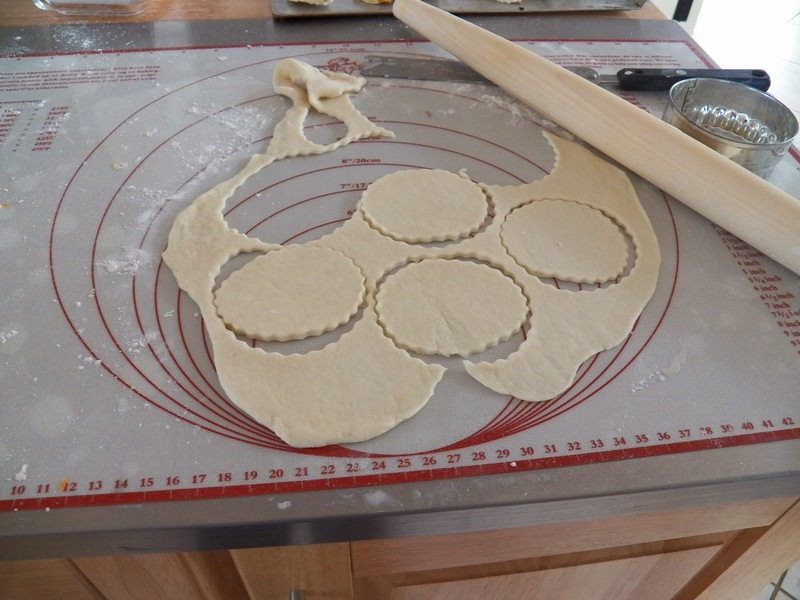 Use a 4 inch cookie cutter to make circles. This dough is hard to work with, so I took a tip I got from another website and used sheets of wax paper to keep the dough from sticking to the rolling-pin as well as the pastry sheet. Mix chopped onion, garlic, fresh ginger, cilantro, tomatoes, curry powder and turmeric and 2 tsp of olive oil together . Steam sweet potatoes whole with skin until soft. 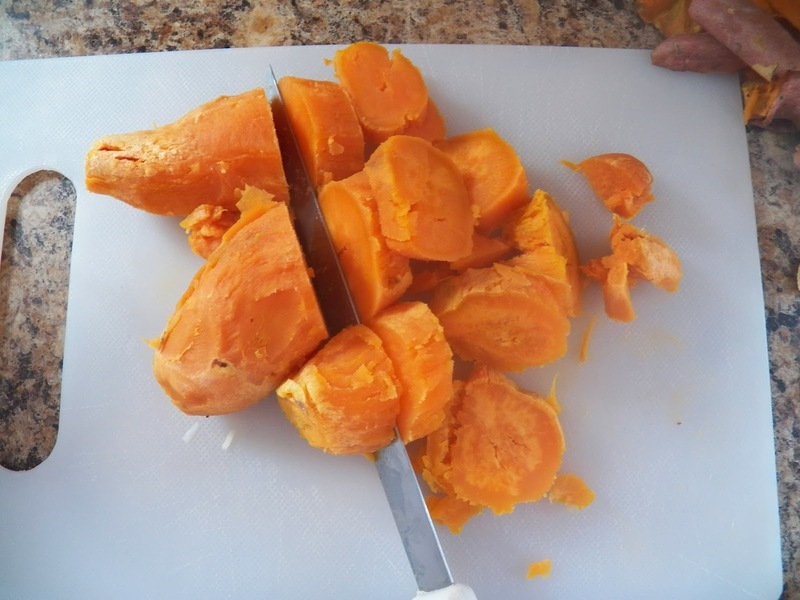 Peel and chop up a little before adding to the other ingredients. 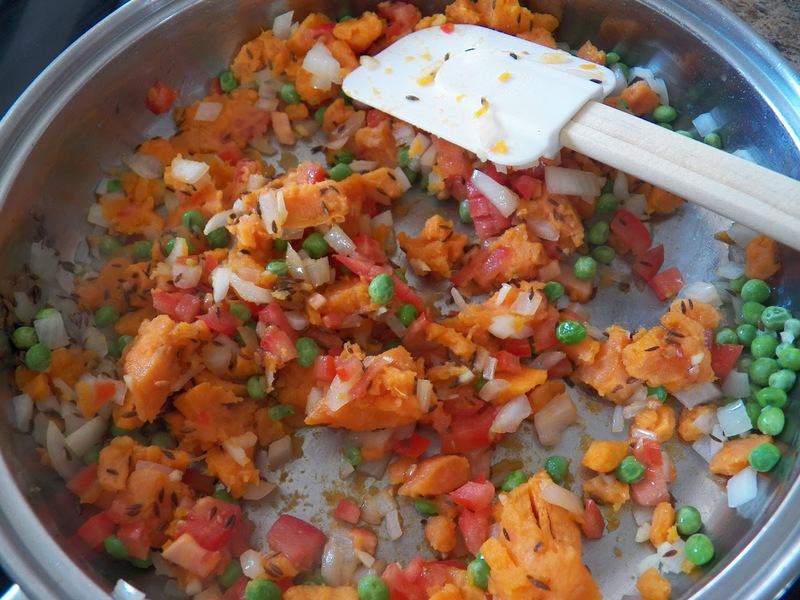 I put the peas, onion, garlic and tomato in a bowl, then added the warm sweet potatoes. Saute cumin seeds or mustard seeds in olive oil spray in a frying pan for about 1 minute. 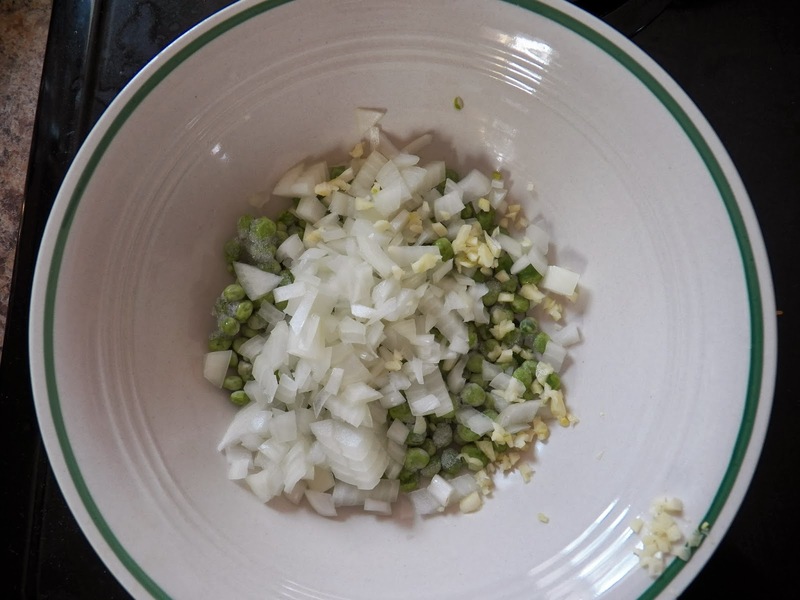 Pour chopped vegetable mixture over cumin seeds and cook on low heat until onion and garlic are soft. Spoon 1 tsp. of mixture into each crust. 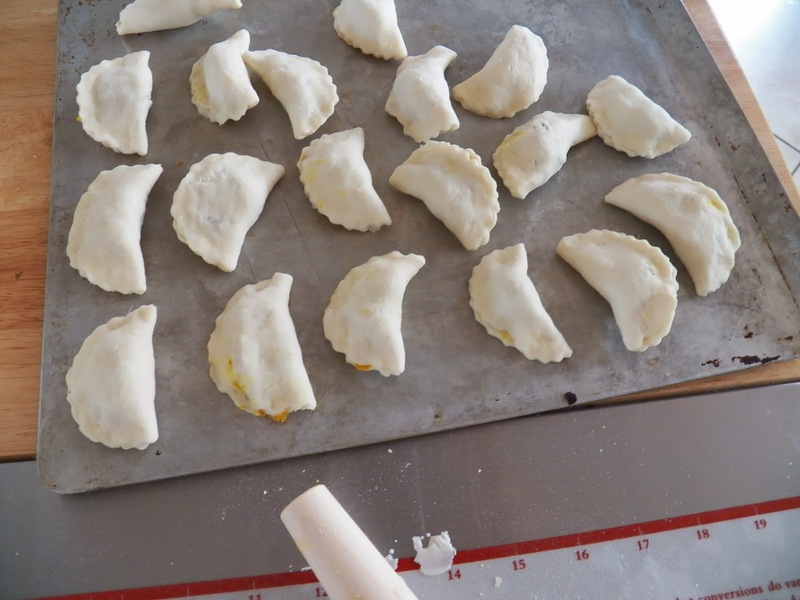 Fold dough around filling and seal edges with fingers. 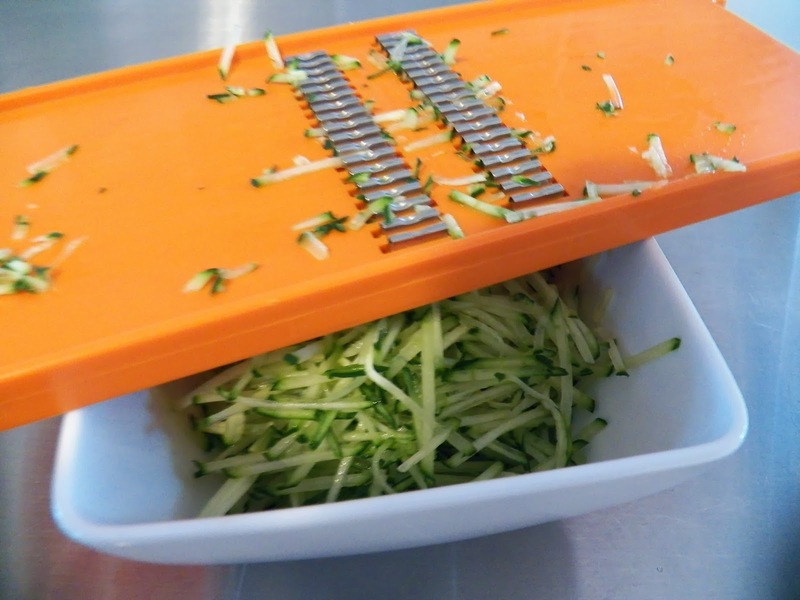 Press edges together with fork for decoration. 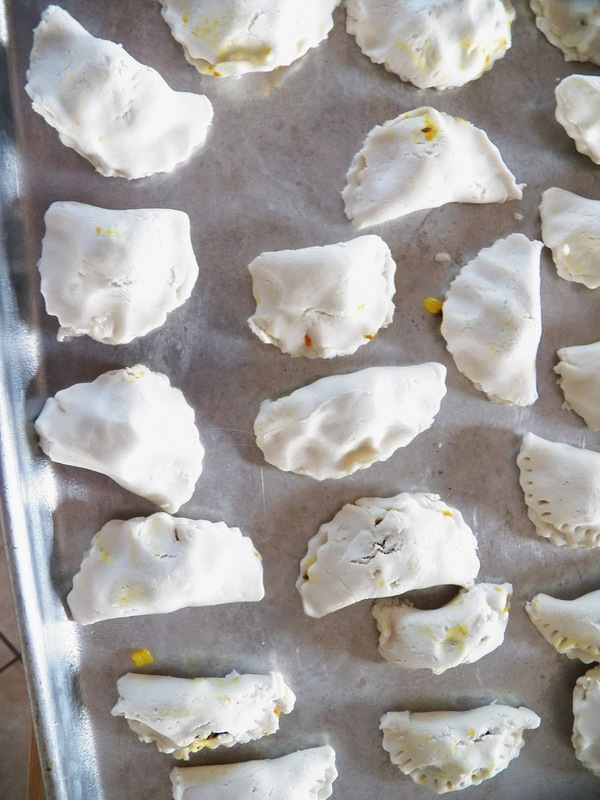 Bake for about 20-25 minutes until browned. 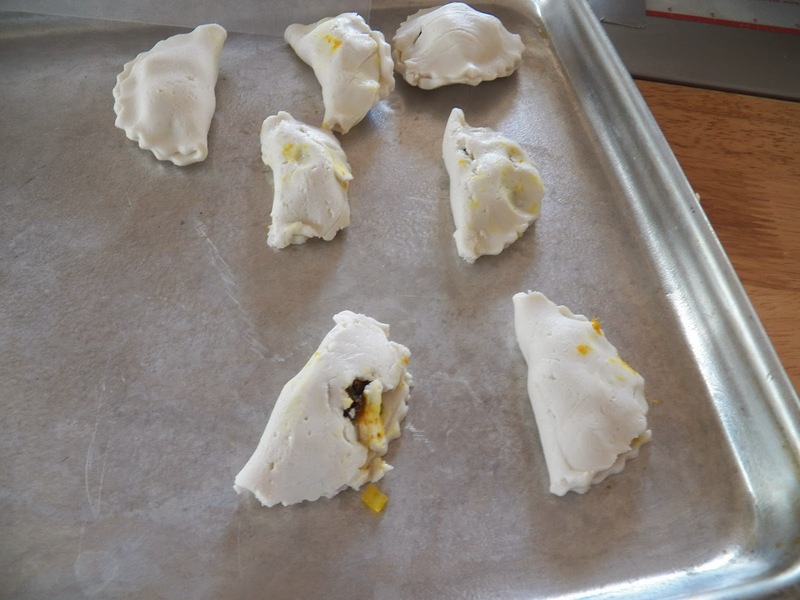 To be honest here, I did not like these at all, the filling was wonderful but the samosa shells, not so much. They baked up kind of weird, and tasted funny to me. I did serve them anyway, and some people tried them. However, I think I need to work with gluten-free flour some more and try to get something more edible out of it. 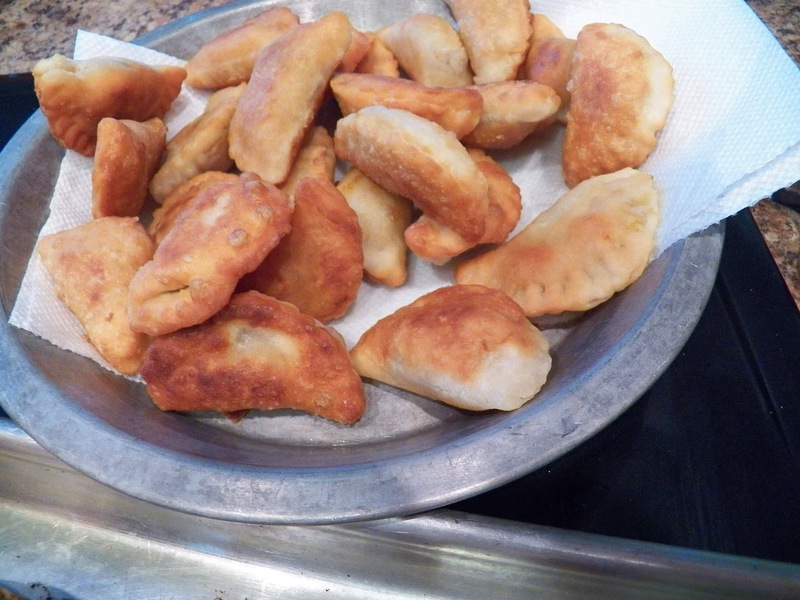 I had so much filling left over, I hurried up and made some not-gluten free dough. I was in a hurry so did not ‘rub’ the butter into the flour, I just threw the butter, yoghurt, flour and baking powder into the Kitchenaid and turned it on. As the butter and yoghurt mixed into the flour, I dribbled in a little water to help the dough come together. Just a couple of tablespoons. 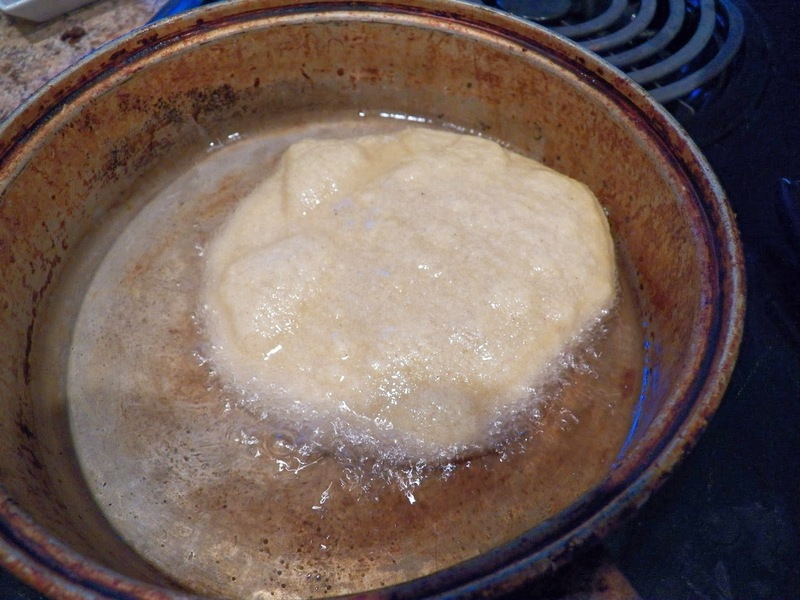 As soon as it formed a nice ball, I changed to the dough hook and let it knead together for a couple of minutes. I knew I wanted a soft, silky dough. I then let it rest for ten minutes before rolling it out. Cut circles with my cookie cutter, and filled them with the remaining filling. Don’t they look pretty? I then placed some plastic wrap over them, and put them into the fridge for a couple of hours. This dough was wonderful to work with, it stretched beautifully, and is one I will make again and again. Just before our guests arrived, I heated some oil in the pan and fried them until they were golden brown, on each side. And let me tell you, they were so good, fresh out of the pan. 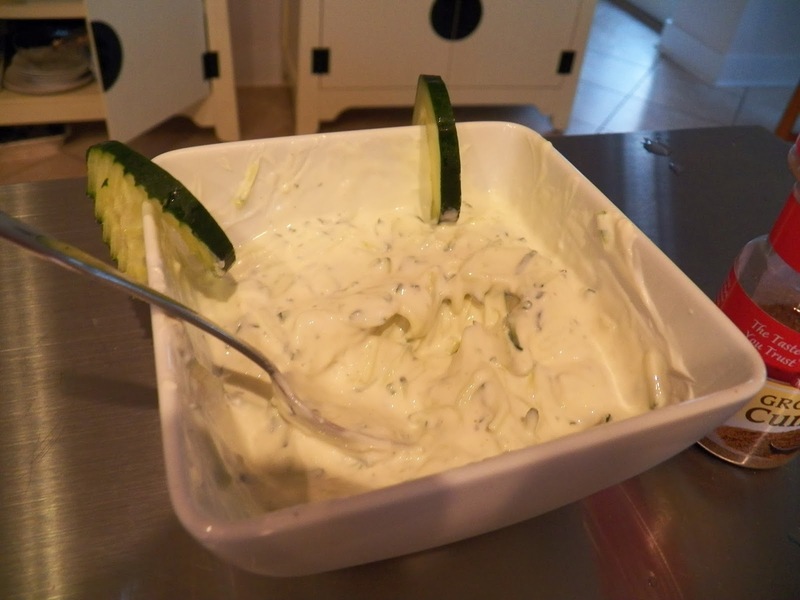 I did serve them with the dip, but really, you didn’t need it. As you know, if you read this blog even on a semi-regular fashion, that we do a Tapas Night every month. And I love to make something new each time. Really, it’s not that hard to do. I will either read blogs or something someone says triggers an idea, or I see something in the store and think AHA!!! And that’s just what happened a couple of weeks ago. I saw a package of puff pastry and picked it up. I like to have a package in the freezer, just in case. But then I started thinking that it’s been a long time since I’d had a Sausage Roll. I realized that I haven’t made them in years. 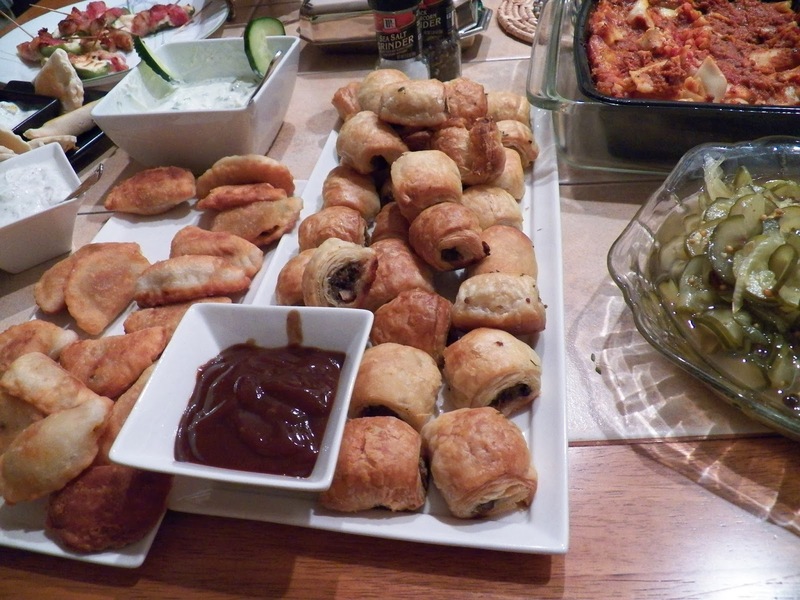 So, I decided that this month is ‘The Month of the Sausage Roll’. I made lots of Sausage Rolls, cause I have a hard time to keep from eating them, and I thought they would be a great Tapas Night dish. As it is I made 54 of them. And most of them made it to the table. I will admit to sampling a couple, well, alright, more than a couple, I had to make sure they tasted alright. If you notice, there is a suspiciously open spot on that pan. 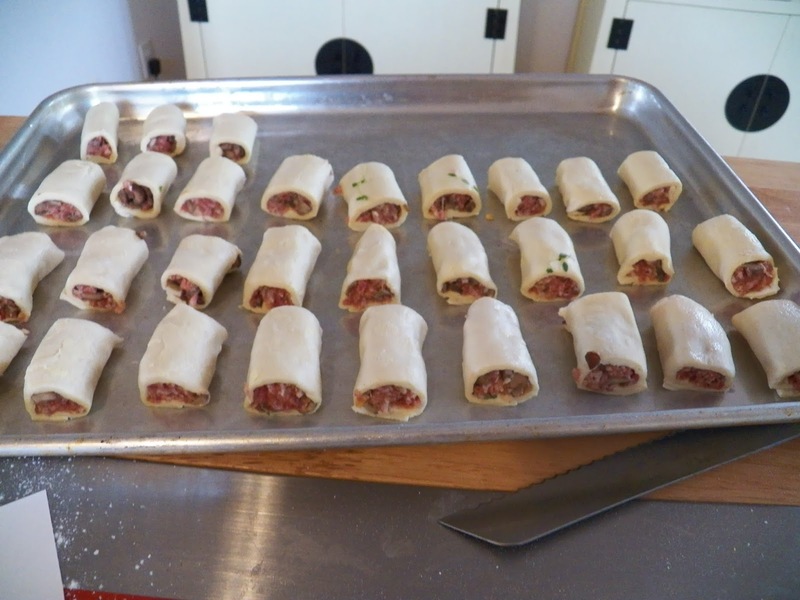 For years I made Sausage Rolls the labor intensive way. I would cook the sausage links first, then I would unroll the Puff Pastry and cut each strip to fit a piece of sausage and roll them up and bake them. Which took time, and while good, they just weren’t quite right. I know whereof I speak. I bought them in London, and I used to buy Sausage Rolls for lunch when I worked at a cable company, many years ago. They were a lot bigger than the ones I made yesterday, but by Jove, I think I finally have the right way to do it. Just for fun I looked up Sausage Rolls, and read a few recipes, and then did my thing and took a bit from this recipe, and a bit from that one, and Voila! I got it. One recipe I read said to add some lemon zest, another added sage and thyme and a third added mushrooms. So I compromised, and added some lemon zest, a little thyme from my plant that currently resides on the windowsill and some sauteed mushrooms. I figured it was a win-win situation. I was right. By the way, the lemon zest adds a little note of brightness. Preheat oven to 425 deg. 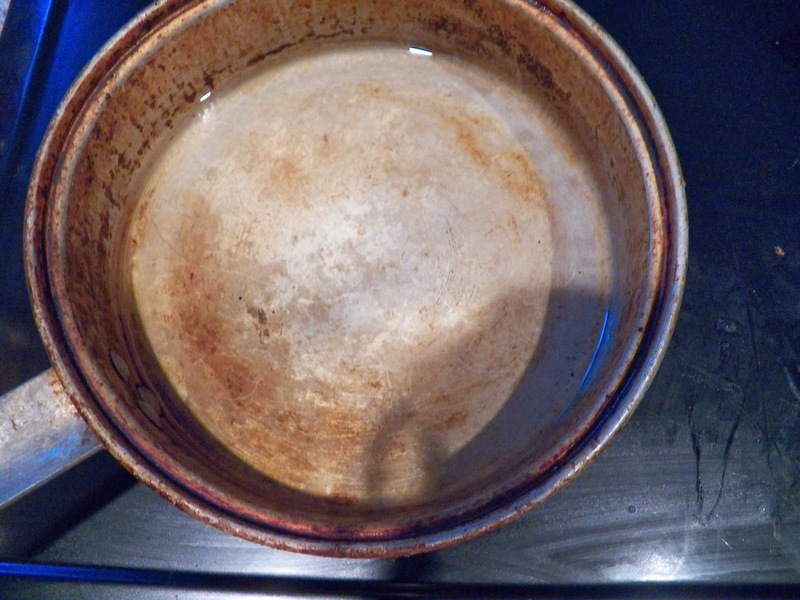 Lightly grease a rimmed backing pan. 1 1/2 packages frozen puff pastry, thawed. I like thawing them in the fridge for a couple of hours. Makes it a lot easier to work with. 8 oz. mushrooms, chopped, sautéed and cooled. Mush the filling ingredients all together, either with your hands or a serving spoon, doesn’t really matter, you want this mixed up well. 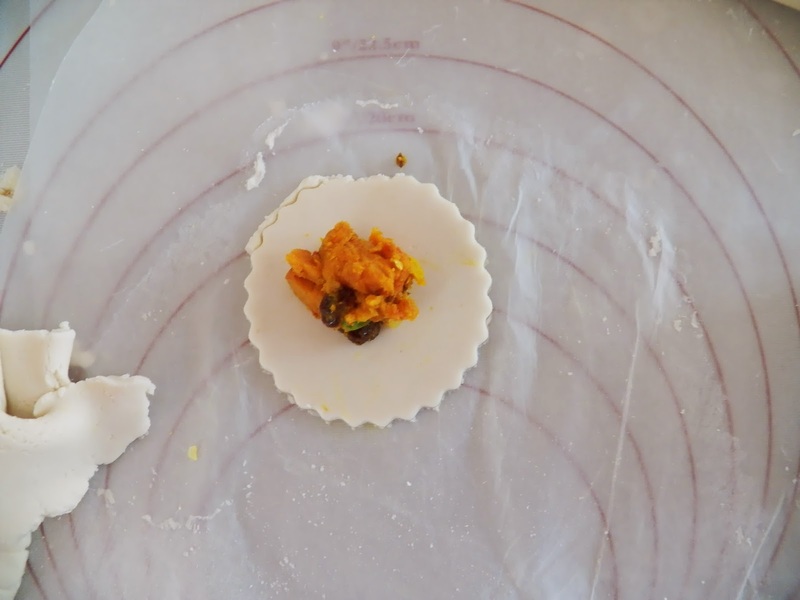 Unfold the pastry, and cut along the lines. Each piece will yield three strips. 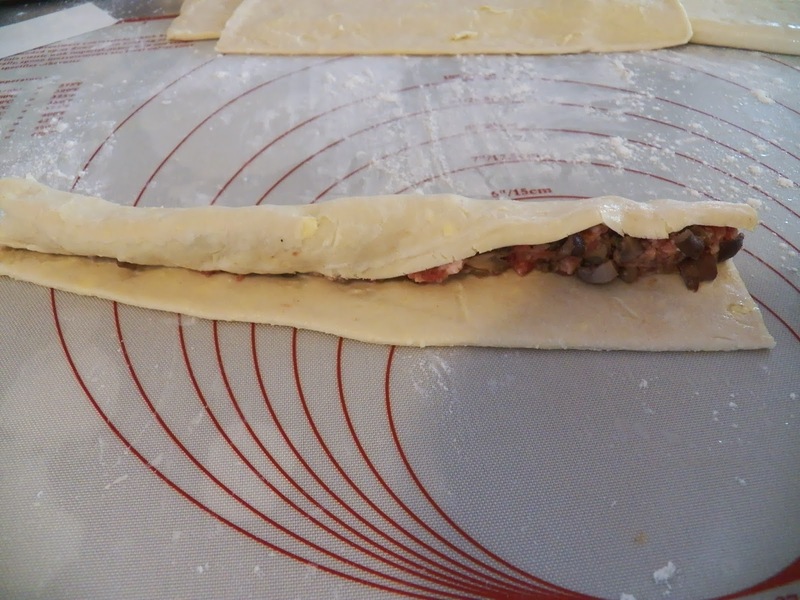 Either make a long sausage like strip of the meat filling or do as I did, just kind make a long piece of the sausage filling the length of one of the pastry strips. Moisten along one edge, and roll up. Pinching it closed a little, just to keep it from popping open as it cooks. Now, use your imagination, cause I got into the flow, and forgot to take a picture of the next bit. 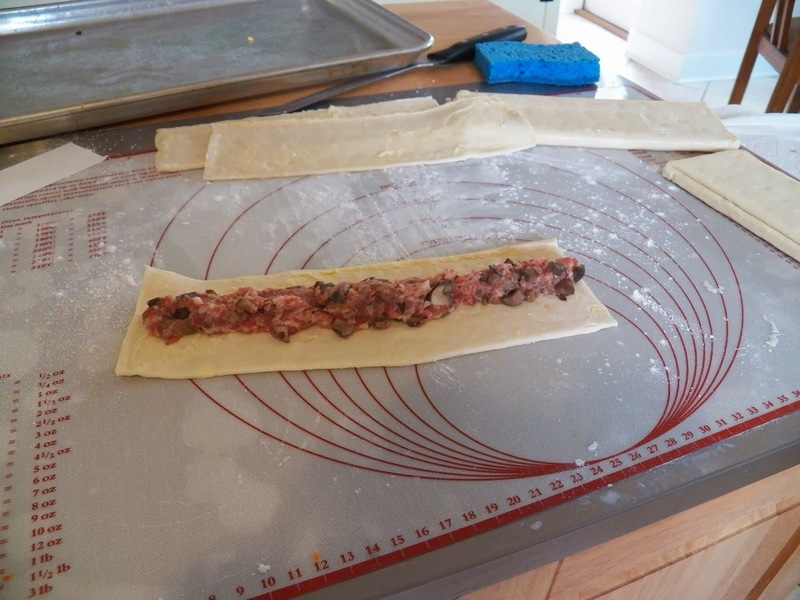 Cut each strip in half, and then each half into thirds, this will yield six rolls per strip of pastry. 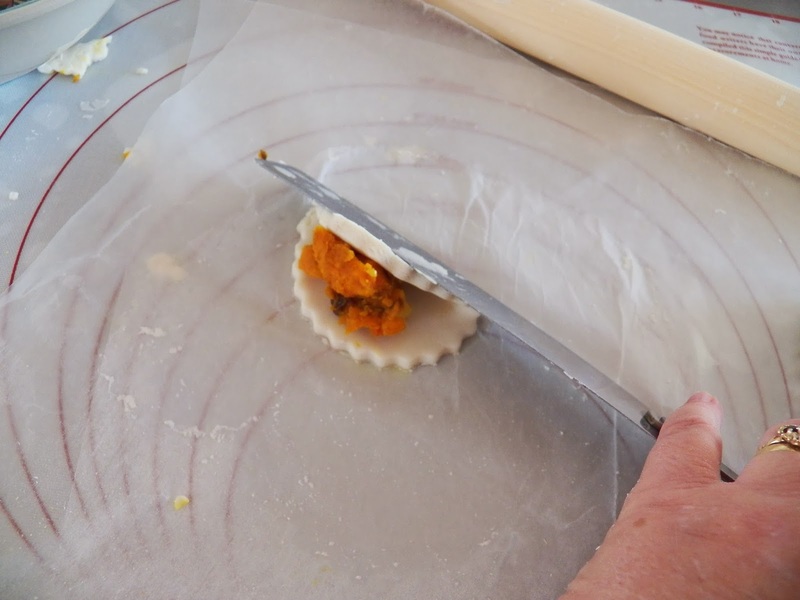 Place each piece seam side down on the pan. Place on greased pan. And go ahead with the next strip. Until you fill the pan, then start on the next one. You don’t want these guys to touch, cause they do puff up a little. 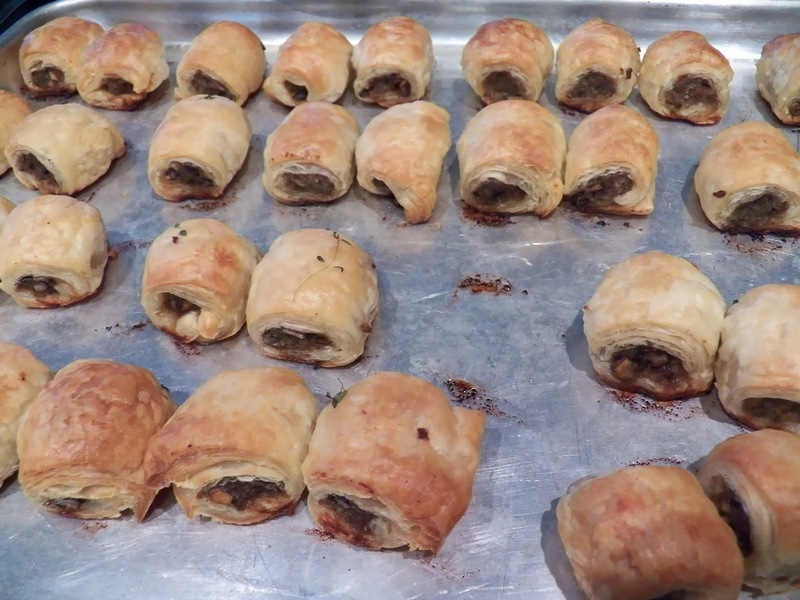 I managed to get 36 little Sausage rolls out of each package of puff pastry. Bake for 20-25 minutes or until golden brown and the sausage is cooked. Serve as is, or with a little HP Sauce on the side. I consider these a success as there were only a few left for me to eat and there was so much good food at Tapas this month. Please feel free to leave me a comment or note or just say Hi. I love to hear from you and am so glad you’re reading my blog. 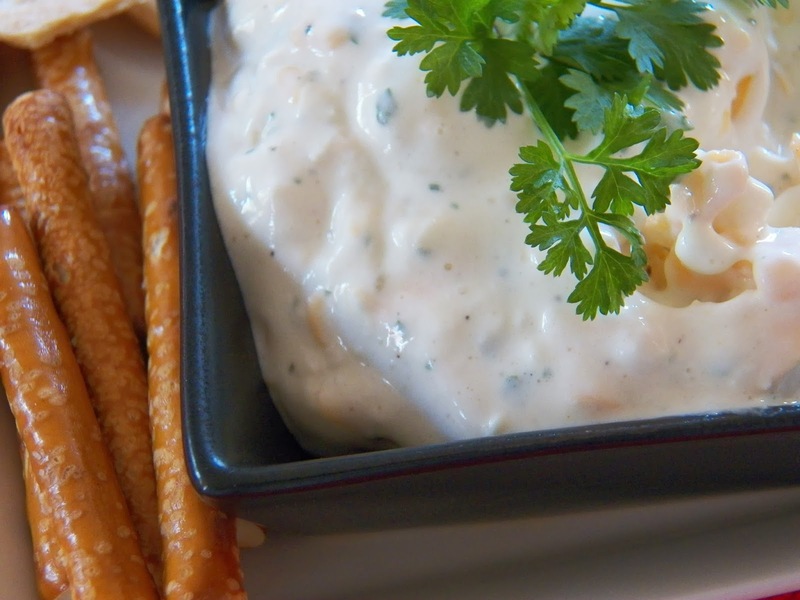 You’ve heard of Beer Cheese Soup I’m sure, but have you ever heard of, or tasted Beer Cheese Dip? I made some Friday for my weekly get together with the NPA club, and I think they liked it. I got the idea for the recipe from one I saw on Facebook, and then played with it. And played a little more. Well, I had to taste test it. And the fact I had to use beer in it, not the whole bottle though, was a good thing. There was no leftover beer when I was done. Mix all that together, and put in fridge to let the flavours come together and dance. 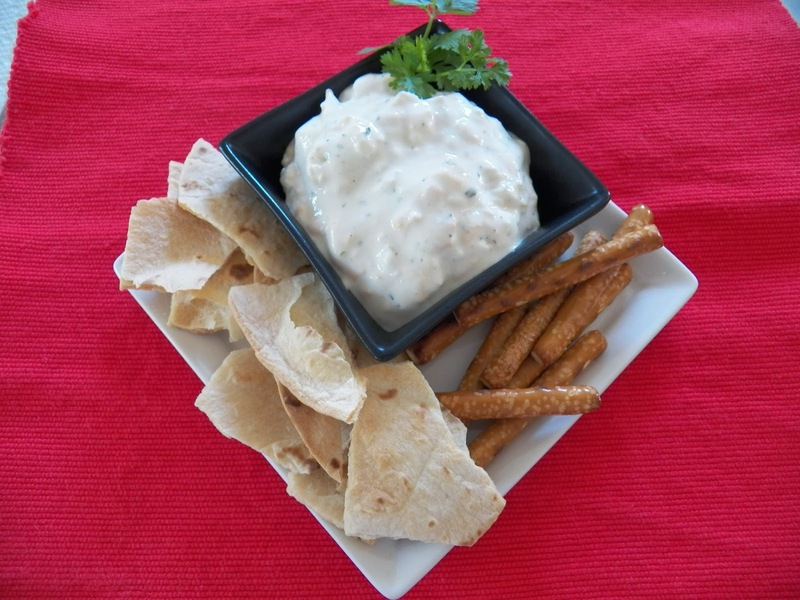 Serve with pretzels or salty potato chips or gee, put some on a baked potato. I don’t know, I just know it was good, and really kinda different. We eat Taco’s at least once a week in our house, and it has become my go-to, can’t think of what else to make meal. Cause Taco’s are probably next to Pizza!!!! as my DH’s favorite meal. Wait a minute, I wonder which one he would choose, if he had to choose between them for dinner. Hmmm, sounds like fun dilemma to put him in, giggle. But that’s for another day. 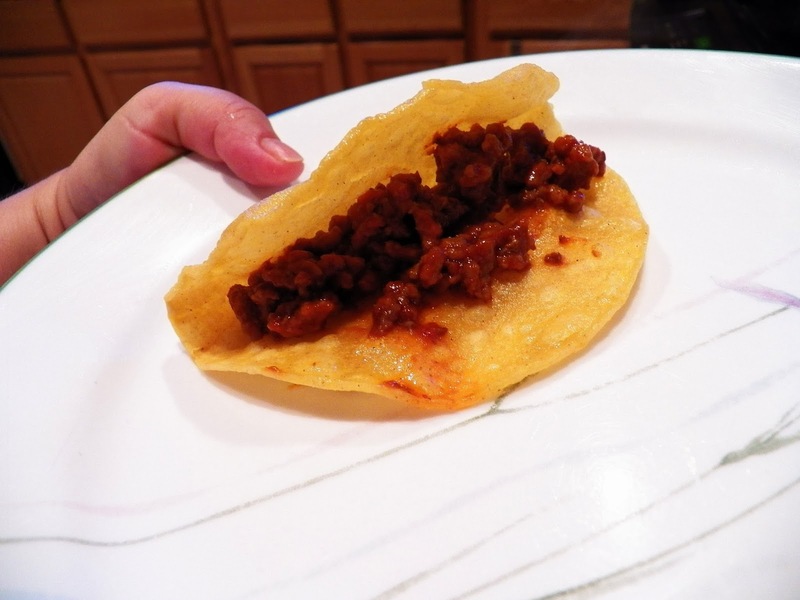 Today, I’m sharing how I make Taco’s, and it is easy. Really, it is. 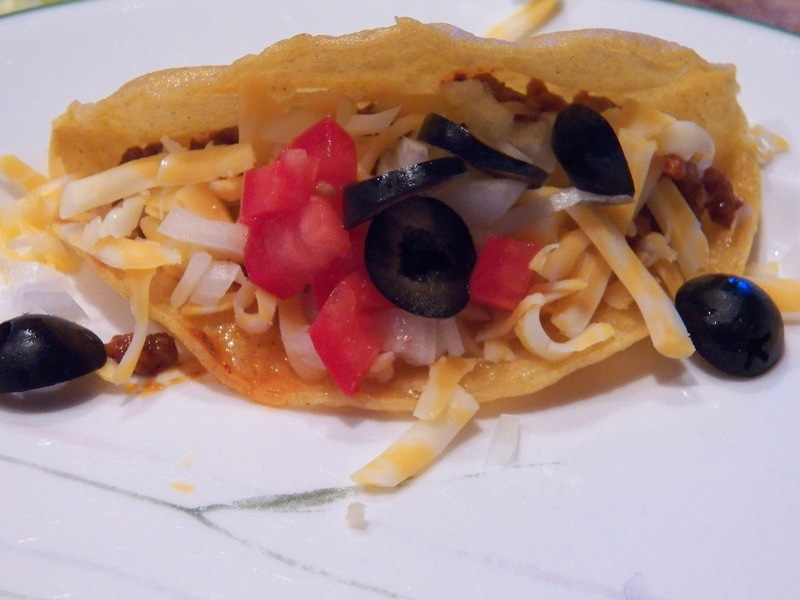 The most difficult part of them is making the Taco shells, cause I fry them from good corn tortilla’s. Neither one of us likes the hard taco shells you can buy that are pre-made. To start with, I make my meat filling. I’ve been making them this way for over 30 years, and don’t plan on changing any time soon. Why mess with perfection? 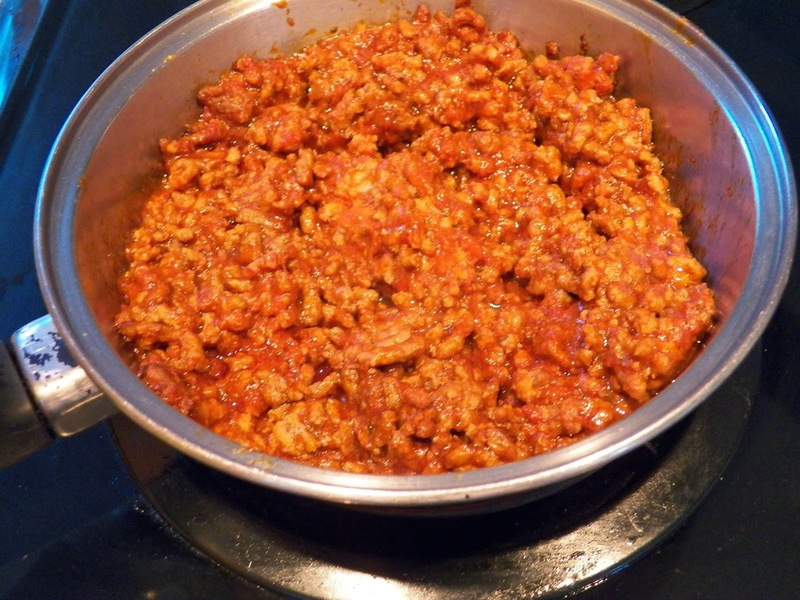 Brown your meat of choice, I use lean hamburger meat, or good ground turkey when I can get it for a reasonable price. Your choice. Cook til just starting to brown and add La Victoria Taco Sauce and a little water. I use either a full bottle, the 8 ounce size and an equal amount of water or a half bottle of the 15 oz size and the equivalent amount of water and let it simmer until it has reduced down. If you add too much water, don’t sweat it, just let it cook a little bit longer. While that is simmering away, prepare your toppings, whatever kind you like. My DH is a purist, lettuce, tomato and cheese. 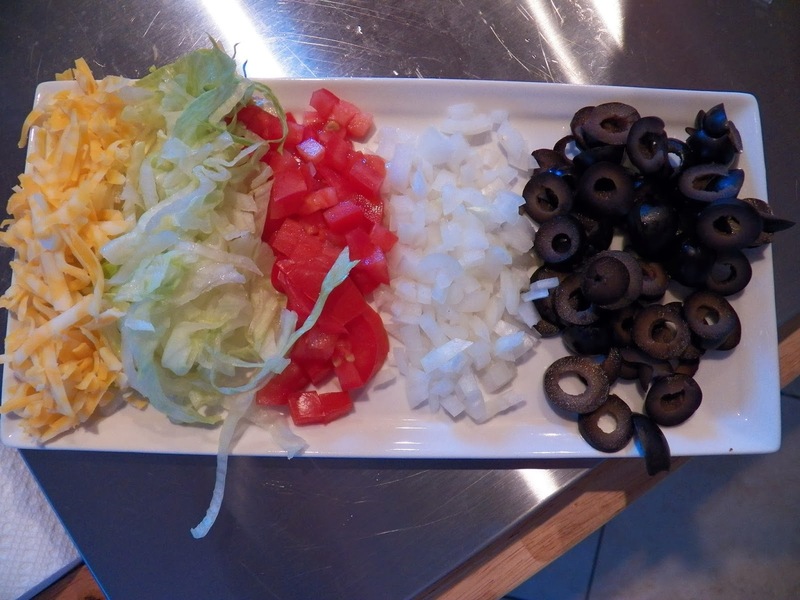 I like to amp it up a little and add some finely chopped onion and black olives, along with the lettuce, tomato and cheese. My personal preference is for Colby Jack cheese, shredded. And since this is my blog, we’ll do it my way. Now for the tricky part. Making the taco shells. I don’t have any fancy equipment to make them the ‘right’ way and since I’ve been doing it my way for so long, I’ve kinda gotten the hang of making them. I watched Alton Brown one day making ‘molds’ for taco shells, and telling how long to cook each one and I had to laugh. I just use my tongs, and form them that way. And you know what, people eat them and love them that way. I know this cause I’ve had people over for Taco’s before and they ate all the taco’s I made. We like the yellow corn tortillas here, have tried the white ones, but really, just don’t care for them at all. To start with, heat your oil. I have this handy, dandy, really cheap pot that I’ve used for over 30 years to make the shells in. It looks like, well, it looks like it should have been retired a long time ago. 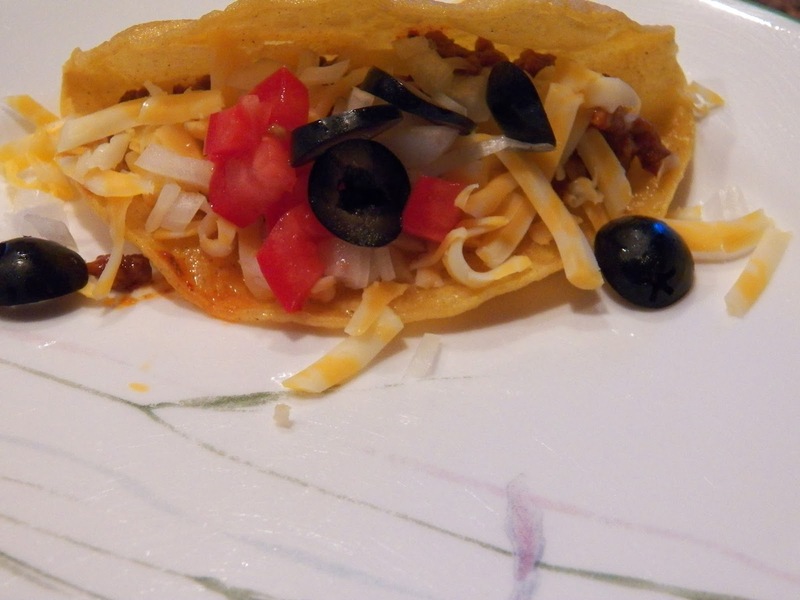 It is perfect for this, the corn tortilla’s fit right in, and it is shallow enough to move them around as I form the shells. 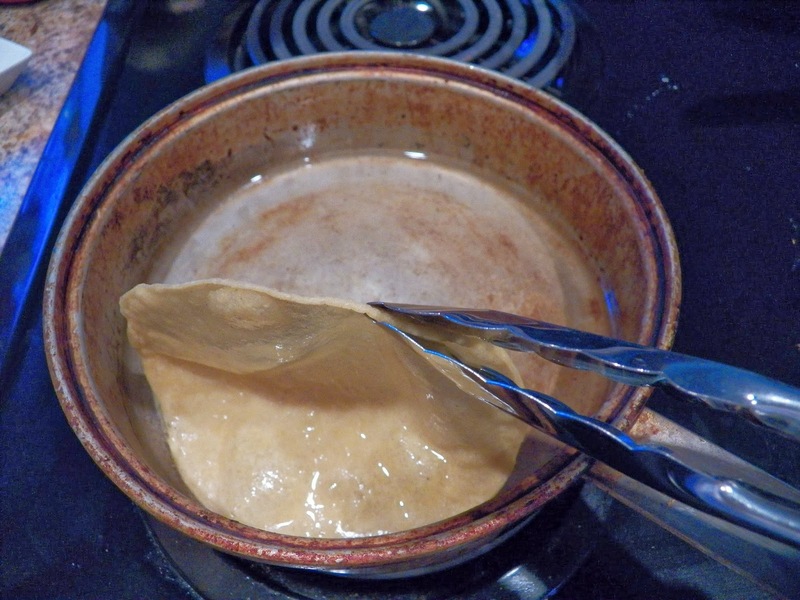 Place the tortilla in the hot oil, and as the edges begin to crisp a little, turn it over, and let cook another few seconds. 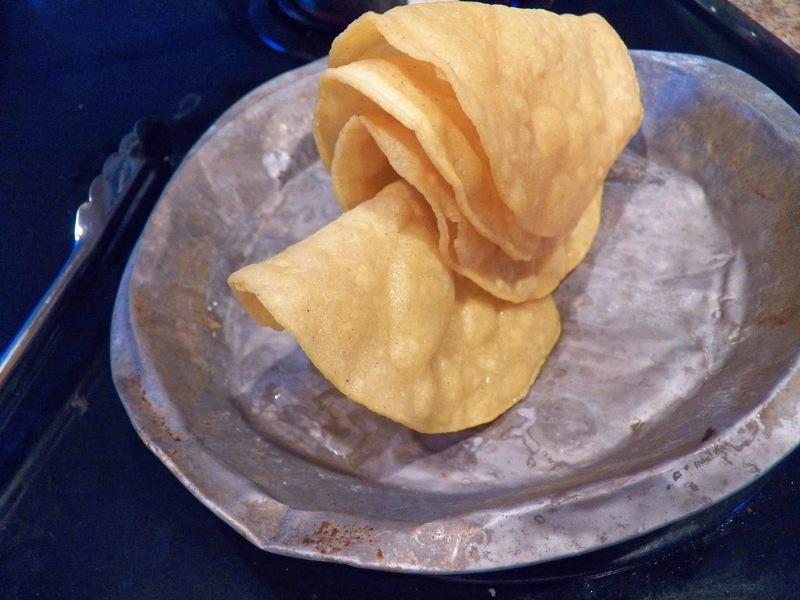 Grab the shell on one side and fold up a little and hold it in the oil until it firms/crisps up, then turn it over and let it finish crisping. 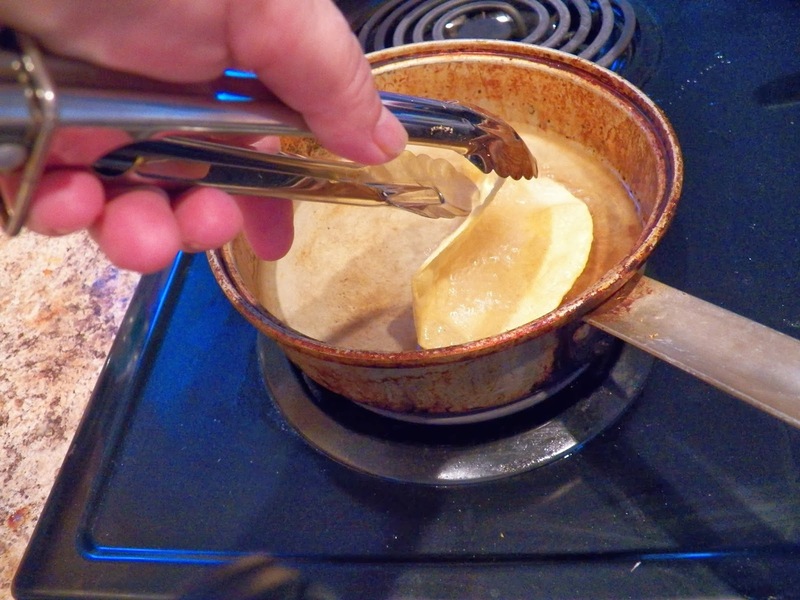 Remove to a pan, I use an old pie tin, and let it sit to drip off the oil. Continue with the next tortilla and when it is is done, place it over the first. If you do this right you can get a nice little stack going. And it helps them to stay warm. I don’t salt them right away, we tend to be careful of using too much salt around here, but you can certainly salt them as soon as you take them out of the oil. Then just build your taco your way. A little meat, a little lettuce, tomato and some shredded cheese on top. I do mine a little differently. Cheese goes in first, then the meat, some onions, black olives, tomatoes, some more cheese and at the last some lettuce, but I forgot to take a picture of that one. sigh. So there you have it, Taco’s my way. And if you have a favourite taco sauce, use that one. For us, it has to be La Victoria brand, they just don’t taste right otherwise. 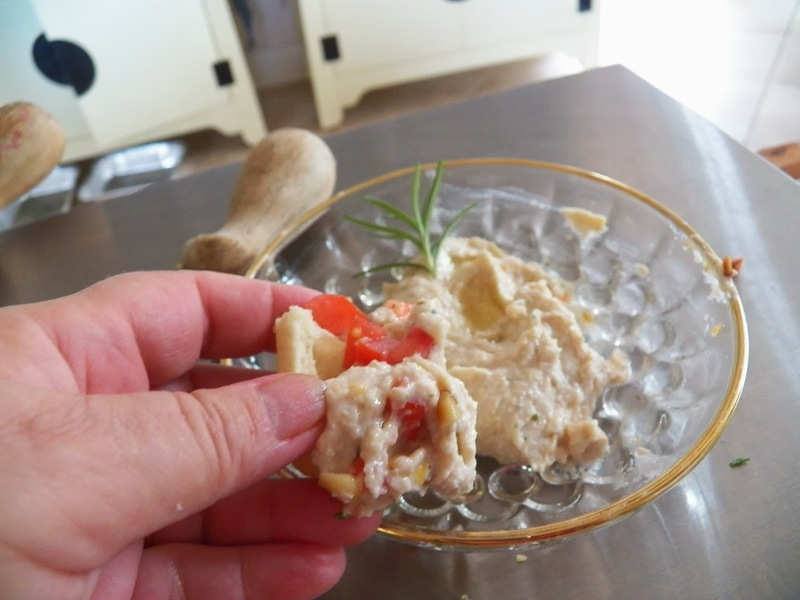 I think I’ve said this before, but I love Hummus, and recently ran across a recipe in the newspaper by J.M Hirsch for an Italian-style Hummus.You know what happened next. Yup, I read it, realized I had all the basic ingredients here, and since I was going to my usual Friday night gathering I had to make it and take it. And tasted it as I was putting the recipe together, and changed a few things around just a tad, mostly for my own taste before serving it and it was well received. 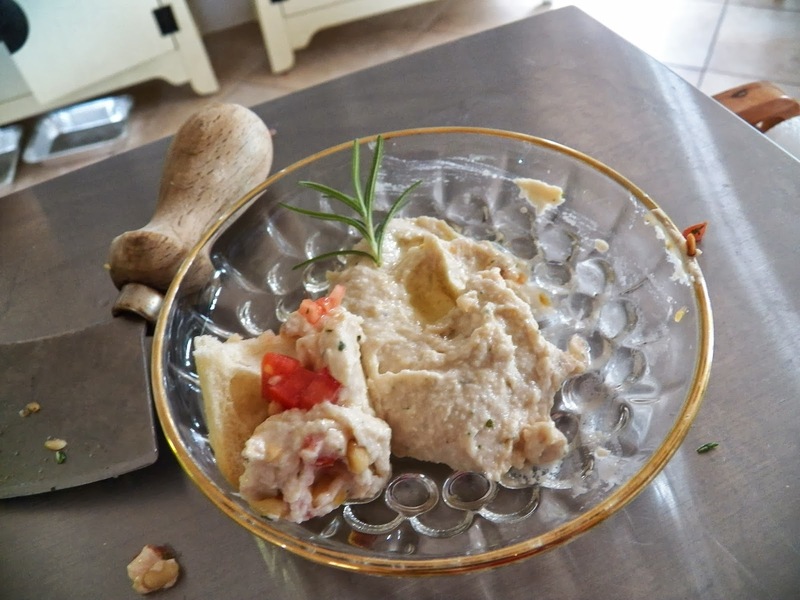 Let me climb up on a soapbox here and say, that if you are trying out a new recipe and you taste it, and it’s not quite to your taste, trust your taste buds, they know you, and don’t be afraid of changing the recipe a little. I’ve even been know to make something and take part of it aside to experiment on it. And sometimes the experiments work and sometimes they don’t. My friends are so good about trying out new things, and passing comments on them. The basic recipe called for just 1/2 a cup of pine nuts, but I decided a whole cup worked better.Following is the recipe I followed, and in blue to the side, how I changed it up, cause I could and I did. 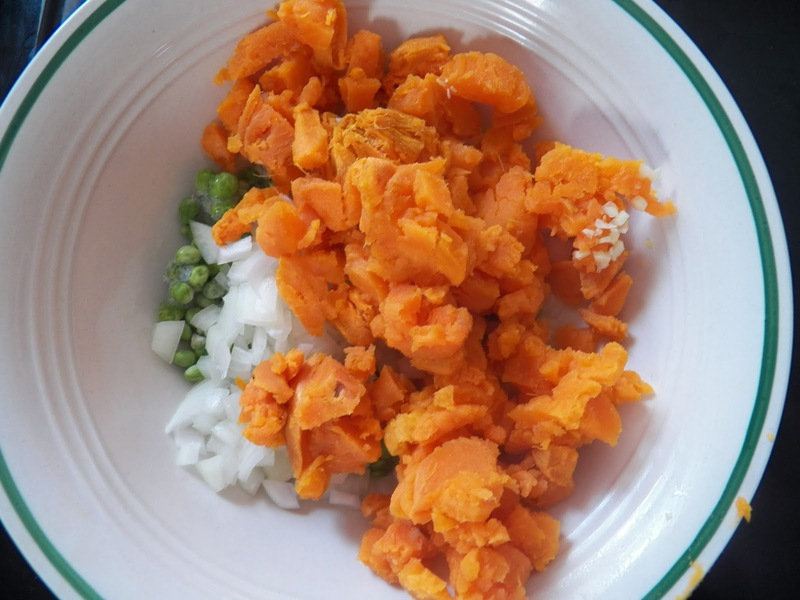 In a food processor, combine the beans, half of the garlic, pine nuts, lemon zest and juice, and 1 tablespoon of the rosemary (chop or mince the garlic and rosemary first, otherwise they don’t break down as well). Process until chunky smooth. 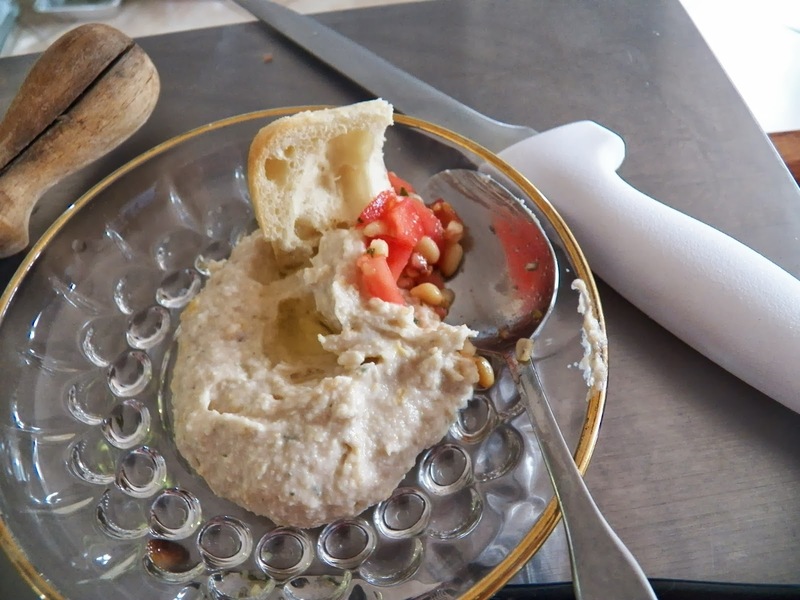 With the processor running, drizzle in the olive oil until the hummus reaches a smooth, silky texture. Taste, then season with salt and pepper, and set aside. (here is where I added some water, otherwise I think it would have been too oily if I had added more oil than the 1/2 cup I used). 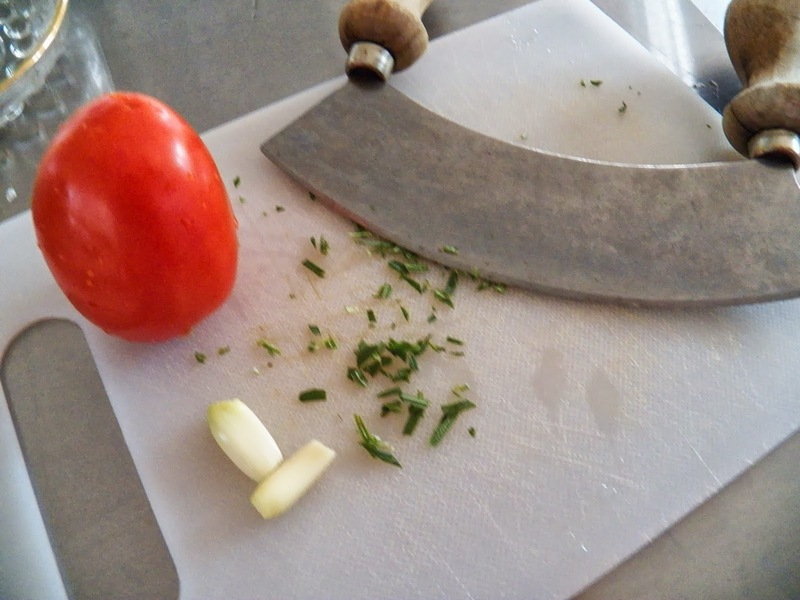 In a bowl, toss together the tomatoes, the remaining 1 teaspoon of rosemary and the remaining garlic. Taste, then season with salt and pepper. 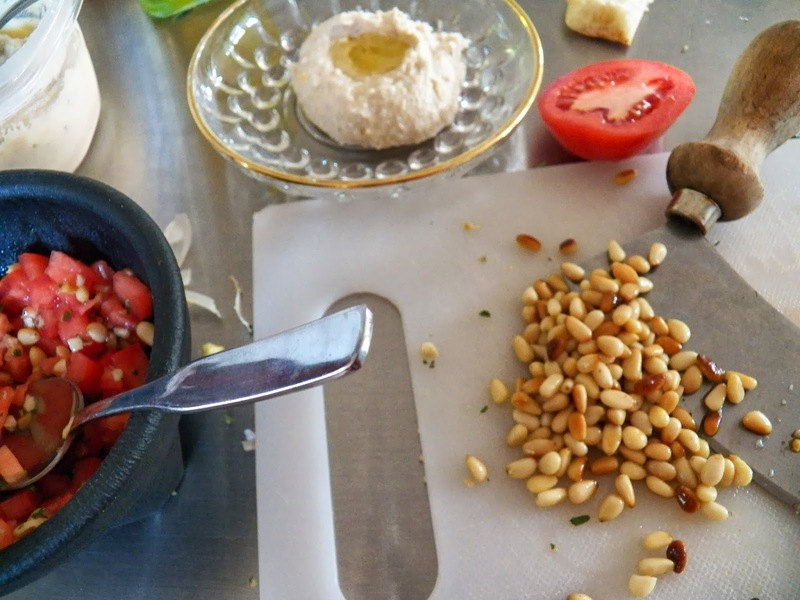 I mixed up the tomatoes with the garlic and added some toasted pine nuts along with the minced rosemary and served them alongside the hummus. 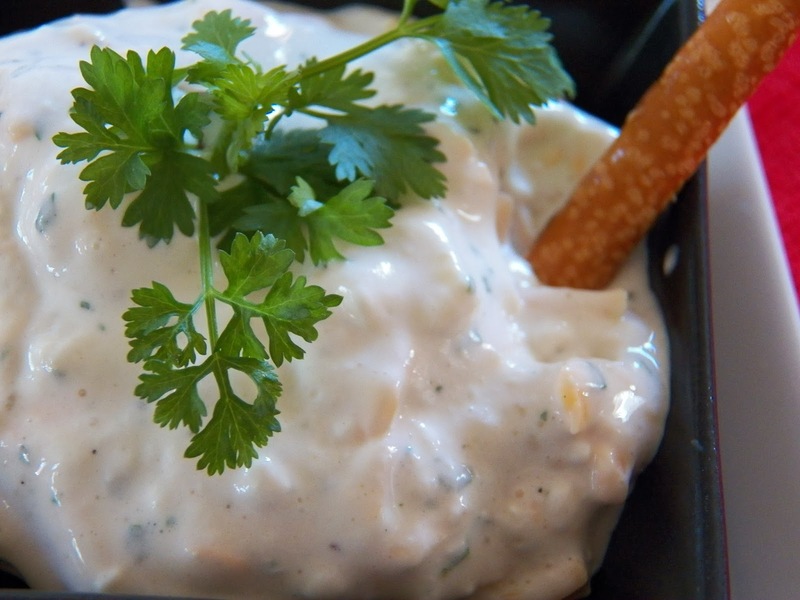 And I have to add, this was so good used as a dip with some celery and carrots. And I made this all with my little 2 cup processor and an immersion blender. I’m saving up for a real, live, 12 cup food processor. But for now my method works just fine.